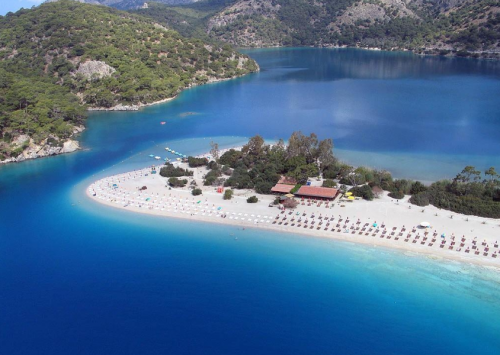 Turkey last minute: 8 days in 3* hotel with halfboard incl. flight & transfer for €169! Ab in den Urlaub once again offers superb prices on holiday packages in Turkey. 8 days / 7 nights in great 3 star hotel in Turkey together with transfer between airport and your hotel and halfboard (breakfasts and dinners) and flight from Germany is now available for just €169! This lowest price is available for departures from Zweibruecken or Karlsruhe. You can also choose other options and fly from Berlin (€177, 6 days), Leipzig (€183, 6 days), Koln (€188, 6 days), Dresden (€204, 6 days), Erfurt (€210, 8 days), Friedrichshafen (€214, 8 days), Munich (€215, 8 days), Frankfurt (€170, 6 days) or Nuremberg (€225, 6 days). Travel dates are different depending on your departure airports from 2.7. onwards. The three star hotel Antik Butique has decent reviews and is located in Side. It also offers huge swimming pool and free WiFi. Price is valid per person in double room. Book here before it’s gone (German only, use Google Translator). « Cheap flights to Netherlands: Prague-Amsterdam for €50!